Broken Harbor will make you wondering how much can a person take before they snap! It has been two years since Mick "Scorcher" Kennedy has scored himself a prime case. He has been stuck dealing with little crime cases like drug dealers. Although Scorcher does work hard to make sure the bad guy does not escape. He is number 2 in the rankings as far as cases that have stuck. Scorcher's boss gives Scorcher the golden opportunity that he has been waiting for. A murder case involving a family. The father and two children have been murdered and the wife is barely hanging on in the hospital. For Scorcher this was suppose to be a easy open and close case. Scorcher is joined by his rookie parter, Richie. The more involved that Scorcher and Richie get with the case, the more bizarre that it gets. Like what is with the big holes in the wall? 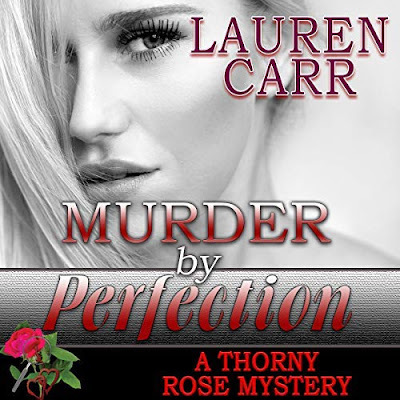 As if the pressure of solving a big murder case was not enough, Scorcher has to deal with his mentally unstable sister. I liked Scorcher. He was a by the book kind of guy, which is not a bad thing but you could also tell that Scorcher had the experience. In addition, determination that each case is not just a case but a personal one where the bad guy does not end up on top. This was no different. Although, this case was more psychological then it was just a straight up murder case. Mrs. French really takes her time to build up the story and to reveal the events that led up to the murder. While, I did appreciate this at the same time, I felt that the lead up to the murder could have been shortened. Also, I was lacking the interaction with the victim. Don't know if this was intentional to keep me from figuring out all the pieces of the puzzle sooner rather then later. When I did get to know the Spain family, it felt a little rushed. I honestly did not know the motive to the murder until the reveal at the end. Although, I had a pretty good idea of who the person was responsible for the murders. Getting to know more about Scorcher and his family was nice. It made him human and gave me a better connection to him. The way he cared for his sister was sweet. Broken Harbor will make you wondering how much can a person take before they snap! We first met detective Mick “Scorcher” Kennedy in Faithful Place and he was regimented and unlikable. What made you turn this character around in Broken Harbor? One of the things I like about writing ‘chain-linked’ books, where a secondary character from one turns into the narrator of the next, is that it gives me the chance to explore how complex and subjective identity can be. One person’s view of another is likely to be skewed, and almost certain not to be the whole truth. In Faithful Place, Frank Mackey sees Scorcher Kennedy as a pompous, rule-bound, boring git – but that’s because of who Frank is and what he needs to see. 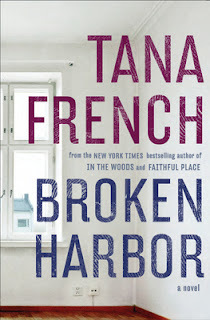 From Scorcher’s own viewpoint, he’s much more complicated than that, much more intense and much more deeply broken.Broken Harbor opens with a triple homicide of the Spain family, including the murder of two young children and their subsequent autopsies. How were you able to write about such a horrific crime in graphic detail? Well, the autopsies are skimmed over to a very large extent, precisely because I didn’t want the book to become about gory graphic detail. To me, the most crucial and devastating thing about any murder isn’t the physical act; it’s the immense emotional and psychological implications – both the psychological process that leads to the killing, and the enormous fallout after the crime. When you’re writing about something really terrible, the physical detail is actually relatively easy to write, because you’re focusing on making sure that it’s technically accurate and you don’t give someone a subdural hematoma in the elbow, or whatever. Writing the psychological autopsy – the scene where you find out why these murders happened – was a lot tougher than writing the physical ones. Maybe this sounds strange, but what keeps me writing through the tough bits is a sense of responsibility. If I’m going to write about devastating crimes, I’ve got a responsibility to do it right. I don’t want to make the killers into two-dimensional shorthand versions of evil; I don’t want to minimise the victims into simply props who have to exist in order for the story to get underway. I’ve got a responsibility to try and show the full impact that these crimes have. The Spains lived in Brianstown, a half-built and abandoned housing development that represents the boom-and-bust times in Ireland . Why was it important to you that Broken Harbor evoke the current financial crisis? I didn’t go in with the intention of evoking the financial crisis. But in Ireland today you can’t walk down the street, open a newspaper, go to the pub, without some reminder of it. It permeates the air. And the people who’ve taken the brunt of it are my generation, the thirty-somethings. During the boom, the government and the banks – for reasons that are a tangle of deep corruption and deep stupidity – were constantly telling us that we had to buy on these middle-of-nowhere estates, it was the only smart thing to do, it was our only chance of ever having a home . . . My husband and I were probably lucky that we were so broke we couldn’t have bought a shed, never mind a house. But thousands and thousands of people our age – like the Spains – didn’t have that luck. They did what everyone was telling them was the right thing. And now they’ve been left stranded in houses they can’t afford, on half-built estates that will never be finished, trying to understand how doing the right thing could possibly have taken them down such a horribly wrong path. That haunts me. When I was writing Broken Harbor , it’s not the financial crisis I was trying to wrap my head around; it’s the immense psychological crisis that it’s created. ow did you become so expert on police procedures? Both In The Woods and The Likeness are being adapted into feature films by Paramount . If you were the casting director, who would you cast as the lead characters and why? I honestly don’t have a clue. Partly this is because I still find it totally impossible to believe that they’ll ever be actual films (!! ), but mainly it’s because I picture the characters as themselves; the idea of someone else playing them is very weird to me. But I’m a big believer in acting, in the way a truly great actor can vanish completely in order to give a character the space to come to life. So a big part of me doesn’t mind who gets cast – whether they look or sound anything like the way I imagined the characters – as long as they’re good. Your characters are multidimensional, are they based on real people? Anyone you know? No, I don’t base characters on real people. I think that would be limiting: if you’re writing about a real person, you’re stuck with what that person would actually do and say and feel, and that might not be what your story needs. I like letting the characters grow in tandem with the story, so that the themes and the plot and the characters are all inextricably intertwined – the story couldn’t have happened to anyone else. I do steal phrases that I overhear, though. In Faithful Place, one kid calls another ‘you golf ball’. I stole that. It was way too good to go to waste. As Janet Maslin of The New York Times wrote, “Ms. French keeps chain-linking her novels together, so that a supporting character in one becomes the protagonist of the next.” What is your process for deciding which character will go on to be your next protagonist in the next novel? I get interested in secondary characters, as well as in the narrator. Somewhere along the way (so far, at least – touch wood), that leads me into thinking about a secondary character’s story – what might be the crucial case that shapes his or her life. It doesn’t always work out the way I plan it, though. When I was finishing Faithful Place , my plan was to have my next narrator be Stephen Moran – the young detective who becomes Frank’s sidekick/minion. But the more I thought about the vague idea I had for Broken Harbor, the more it became clear that this was a book about following the rules; about what happens when you follow all the rules, you do everything you’re supposed to do, and then the rules let you down utterly. That’s not something that would be particularly important to Stephen, but it’s at the heart of who Scorcher is. So gradually it became obvious that this was Scorcher’s story. What are you working on next and do you care to tip your hand as to who from Broken Harbor will be the protagonist in your next mystery? Great interview! Loved this book. I thing she did it very well - characterization, plot, atmosphere.